Avenged Sevenfold News: Avenged Sevenfold will play at Rockstar Mayhem Festival 2014? Avenged Sevenfold will play at Rockstar Mayhem Festival 2014? 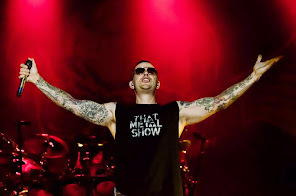 Since a few days turns the news that Avenged Sevenfold will play at Rockstar Mayhem Festival 2014. It's not yet confirmed, the lineup of the festival will be announced March 31st.